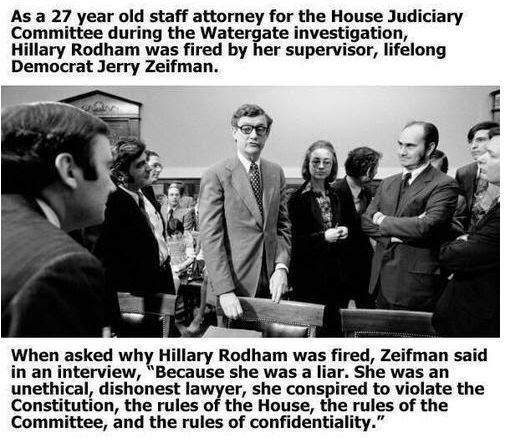 One Solid Attribute Regarding Hillary - Still A Liar! Has over 2M Twitter & FB Followers! According to two popular online measuring tools, no more than 44 per cent of her Twitter fan base consists of real people who are active in using the social media platform. And at least 15 per cent – more than 544,000 – are completely fake. The most up to date Twitter-auditing tool, reports that 44 per cent of the former secretary of state's followers are 'good'; 15 per cent are 'fake'; and 41 per cent are 'inactive,' meaning that they never tweet or reply to any tweets. Fake on Facebook, tooClinton boasts two-thirds of a million Facebook 'likes,' but more than 46,000 of them list 'Baghdad' as their hometown. Hmm, can you smell the fakery wafting through the air? Known as a Liar - YES! Hillary caught on camera breaking the law. Power corrupts. Absolute power corrupts absolutely. Then, there's the Clintons... This is the video that's been buzzing around the blogs for the past few months, becoming one of the most viewed on Google Video. 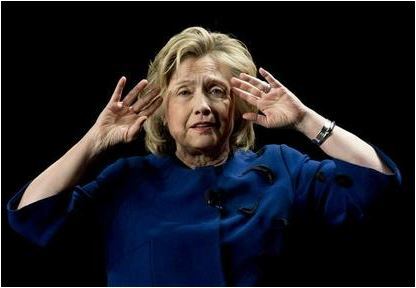 It shows the Peter Paul side of the issue, which involves allegations that Hillary Clinton has committed numerous federal election law violations, has lied about them to cover them up, all culminating in what might be felonious conduct on her part. Paul makes a strong case here. This is the most shocking expose on the blatant corruption surrounding Hillary Clinton. Includes exclusive home videos of Hillary to expose the illegalities that elected Hillary to the Senate and the obstructions of justice that keep her there. Former Secretary of State Hillary Clinton announced during a New York Times interview that the Holy Bible is the book that made her who she is today. he Satanic Bible is a collection of essays, observations, and rituals published by Anton LaVey in 1969. It contains the core principles of Satanism, and is considered the foundation of its philosophy and dogma. Composed of four books: The Book of Satan, The Book of Lucifer, The Book of Belial, and The Book of Leviathan. The Book of Satan challenges the Ten Commandments and the Golden Rule, and promotes hedonism. Hedonism is a school of thought that argues that pleasure is the primary or most important intrinsic good. Most of Bills deceit and actions are known but not all of Hillary's. This website will not be addressing Bill Clinton's actions unless they are directly related to Hillary's.